Nowadays Mexico is another unlikely place emerging as an attractive golf destination. The country boasts more than 160 courses and venues where people can play their favorite game. With its variety of courses spread throughout the country, Mexico has a little something to offer everyone – from the occasional layman golfer who wants to combine a holiday with a round or two, to the people who have never played golf and want to have an introductory golf course, to people that enjoy taking part in golf tournaments. The big number of golf facilities in Mexico offers the golf-breakers the opportunity to choose their course by considering other aspects of their preferred holiday. Golfers can choose between oceanic coastal golf resorts and inland such. A big and extremely densely populated country, Mexico is also the home of many UNESCO World Heritage Sites, which makes it attractive to those golfers who are lovers of history. The country has a lot to offer to mountain fans too - there are two beautiful and imposing mountain ranges that cross Mexico from south to north – Sierra Madre Oriental and Sierra Madre Occidental, extension of the Rocky Mountains of North America. The famous Sierra Nevada, a former volcanic belt, crosses the country from east to west. Due to the country’s topography, its northern territories are situated at higher altitudes. The climate in Mexico varies, but is predominantly warm to hot, with some exceptional areas where it could reach up to 50 °C. The various golf establishments in Mexico provide for quite a flexible approach to a dream golf vacation. You can customize your own golf holiday by choosing the destination, hotel and golf club of your preference. Mexico, as some other trendy golf-destinations, goes one step further in golf tourism and golf real estate and offers properties in golf resorts, so, given that you have the means, you can live or have a summer house on the premises of a beautiful Mexican golf resort. Due to its natural diversity, Mexico offers quite different in landscape courses, so it is difficult to rate them in terms of quality unanimously. Yet, among some of the best and most worthy to be visited golf venues are Diamante, situated in the sand dunes of Mexico’s Baja Peninsula. As for oceanic courses, Cabo del Sol, Querencia, and Four Seasons Punta Mita are very beautiful coastal resorts. If you want to experience the thrilling city life of the megapolis city of Mexico, there is a prominent golf course for you there too – Mexico Club de Golf. If you want to head to the Mexican Caribbean, then there is a perfect place for you – the 5-diamond Fairmont Mayakoba at El Camaleon. If you are interested in the Pacific Coast, as many Hollywood stars seem to be nowadays, then you should take a look at the prospects of Nuevo Vallarta, Puerto Vallarta, Manzanillo and Ixtapa. These are just but a few of the outstanding golf courses you could find in this spectacular country. 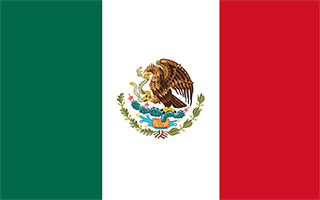 In terms of golf tournaments, Mexico offers several amateur championships. The country has also hosted in 2002 the WGC-World Club at the Vista Vallarata Club de Golf in Puerto Vallarata. This was the 48th World Golf Cup. Other important professional golf events, hosted annually by Mexico, include the OHL Classic at Mayakoba, which is part of the PGA Tours. The competition, which is the richest golf tournament in Mexico, has a price fund of up to USD 3 000 000. The 2013-2014 edition of the competition will bring the winner 500 FedEx Cup points and a Masters Invitation. Other tournaments worth considering are the Lorena Ochoa Invitational open to both men and women that takes place in the Guadalajara Country Club and is an accredited by the Ladies Professional Golf Association (LPGA) event. With its cultural heritage, diverse landscape and beautiful nature, Mexico is definitely one of the most attractive golf and holiday destinations. Regardless what your personal golf aims are, you should consider taking a golf break in this full of history, surprises and adventures country. One thing that should at no price be neglected is the Mexican cuisine and indigenous culture. Notwithstanding whether you are aimed at luxury or culturally satiated golf holiday, you can customize your dream golf break in Mexico and add to it a pinch of uniqueness.